What can you do to get ready for pool ownership? Well, wanting one is the first part of getting ready! When you’re planning for a pool project, your entire family may want to be involved because it is so exciting and there are so many decisions to be made. The swimming pool contractors from Imperial Pools understand that it’s fun to plan a pool project, but it’s also a confusing time fraught with myriad decisions. Where you will place the pool… and on and on it goes! The style and shape. Will you want a lap pool because you anticipate just swimming laps? For a better workout you may want a swim spa. This will allow you to get a water workout that incorporates current to swim against. These pools are typically 12 feet long and equipped with equipment to generate strong currents you swim against to build strength and endurance. Pools for leisure and fun — traditional pools. An inexpensive pool design is the rectangle or oval and remain popular today and are budget friendly. 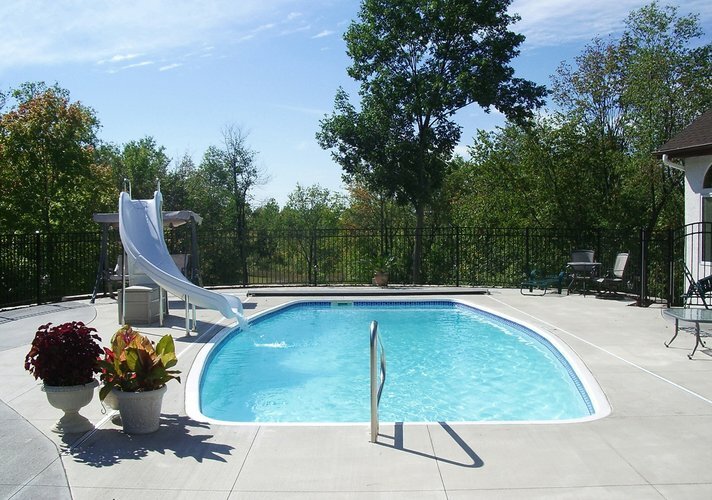 Consider the accessories you want in your pool: slides, diving boards, waterfalls, sun shelves, etc. The accessories are almost endless. Landscaping for the project. You will spend as much time around the pool as you will in the water. The outdoor living space may be the place in which you and your family spend most of your leisure hours. If you have a pool you may want to upgrade and add a hot tub or spa as a stand-alone structure or a built-in to your existing pool. Don’t rush into a pool reno or a new pool project. The decisions you make will be one you have to live with for decades to come! Make certain you get the pool of yoru dreams in the budget that you have set aside.